was known for being very organized and keeping things very clean. 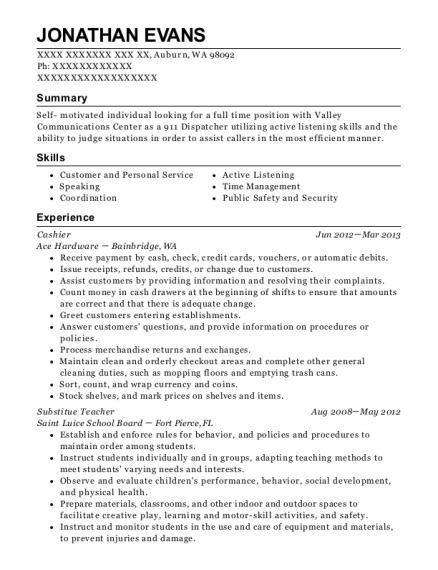 Cashier Nov 2014－Present USU Campus Store － Tooele, UT Duties include opening and closing the store and register, along with cleaning counters, sweeping and mopping the floor. Also assist with creating displays to up-sell merchandise. Helping customers with any questions and purchasing items. Cashier Apr 2014－Aug 2014 My Best Friend's Closet － Tooele, UT Assisted with balancing the register at the end of shiftalong with other closing chores which included cleaning counters and floor. Created displays of clothing, along with sorting and ironing outgoing merchandise. Also helped to issue receipts, refunds, credits, or change due to customers. Cashier Nov 2013－Apr 2014 La Frontera － Tooele, UT Responsible for helping customers settle checks, and assisted with showing customers to their seat. Answered phone calls, and placed to-go orders for customers. Also helped with night chores including cleaning and balancing register. 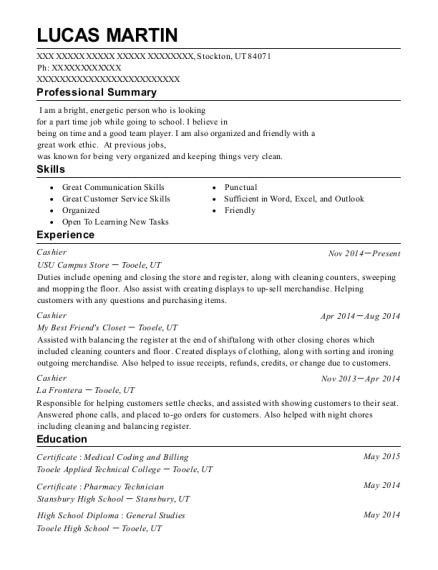 This is a resume for a Cashier in Stockton, Utah with experience working for such companies as USU Campus Store and My Best Friends Closet. 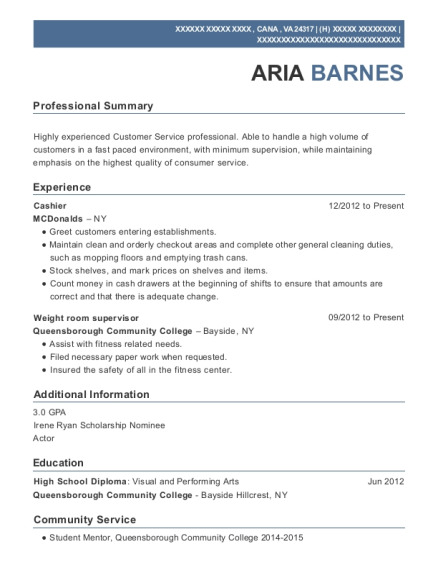 The grade for this resume is 0 and is one of hundreds of Cashier resumes available on our site for free. 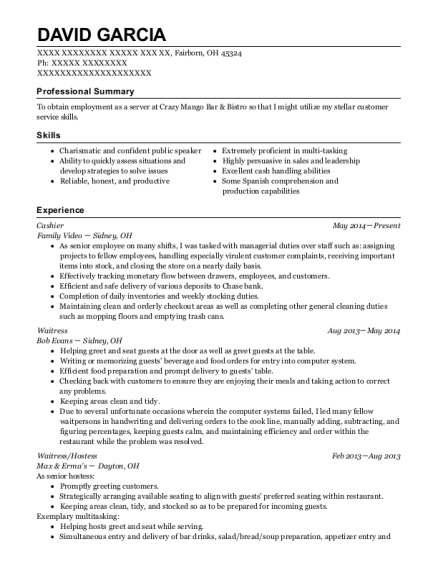 Use these resumes as templates to get help creating the best Cashier resume.